An altercation between two groups led to a man being gravely injured by gunfire at the Speedway on 24th Street and Bloomington Avenue South, according to Minneapolis police. 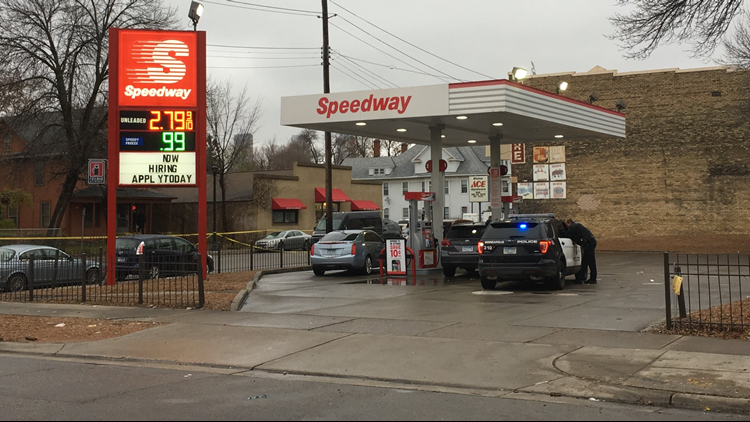 Crews responded to the Speedway gas station on 25th Street and Bloomington Avenue South, where police say there was an altercation between two groups of people that escalated into at least one gun shot. MINNEAPOLIS - A man is charged in a fatal shooting that happened in the parking lot of a south Minneapolis gas station on Tuesday. Minneapolis police say the shooting happened at 12:45 p.m. at the Speedway gas station on 25th Street and Bloomington Avenue South. According to the charges, 27-year-old Rodney Donta Jackson was getting gas and went into the station on Tuesday. When he came back out, his car was blocked in by two other vehicles. Prosecutors say Jackson, his girlfriend, and the victim, now identified as 19-year-old Mohamed Ali Abdi, began yelling at each other. At one point, witnesses say the girlfriend threw a jar of Vaseline at the victim. Jackson was able to move his car but then prosecutors say he parked across the street, and Abdi threw rocks at Jackson's SUV. Investigators say Jackson then shot Abdi in the head through the window of his vehicle. Abdi was taken to the hospital with "grave injuries," and according to police, he died just after 11 p.m. at the hospital. Investigators interviewed people at the scene and arrested Jackson several hours later in a Roseville movie theater. A .40 caliber semi-automatic handgun was taken from him. Jackson is charged with second-degree murder in the shooting.